This show was webcast via LivePhish. Scent of a Mule featured Fish on Marimba Lumina and Mike playing his fight bell with drumsticks. Weekapaug contained Runaway Jim and 2001 teases. Antelope contained Soul Shakedown quotes and teases. 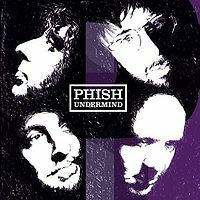 I probably could just copy my review for 7/26/13 and slap it in here, as the two shows have a lot in common - very good first set with good song selection and well-honed playing, a 1993-esque second set with one Big Jam and superb flow from song to song (and, like 1993, a wild 2nd set Mule and compact Mike's Groove), and palpable energy from start to finish. Unlike 7/26/13, though, I actually like the Big Jam of the night; the song portion of Drowned is shaky (which can happen when you play it with the infrequency that the band plays it these days), but Trey drags this one into improv-land almost right out of the gate and the band shifts back and forth from minor to major keys while keeping up a quick and exciting tempo all throughout. Trey hits on some cool repeating guitar lines throughout, then starts playing some growling chords as the jam starts to pull itself apart, until things come to a nice close. Then comes the highlight of the set for me, a tight Theme that rolls into an Echoes-aping jam (I'm not familiar with Echoes, but even a cursory listen shows some obvious similarities) that enriches our lives for a few glorious minutes before a smooth -> into Steam. The rest of the set has some very fine individual moments (the ambient jam at the end of Waves that shows @ARigidDesignator should be listened to, Fish wailing away on the Marimba Lumina in a Halloween-spooky Mule, Runaway Jim's first ever appearance in a Groove, Trey managing to squeeze 2001 into Weekapaug), but is best viewed as a single piece of music with various movements. The encore is also worth a listen, especially when a fireball Antelope hilariously meanders into a Soul Shakedown Party reprise. I didn't really think the Fall tour needed "redeeming" (again, the Eugene show is grievously underrated, and plenty of shows don't have anything on the level of 10/21's CDT -> Ghost), but one will hope that this show gets every bit as much praise as the previous show got vitriol. Phish, as always, wins again. 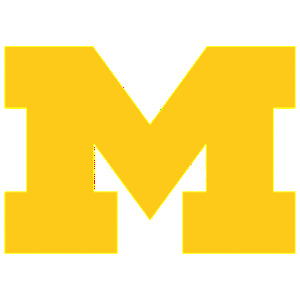 Long time fan (UVM '88), first time poster. I was never a huge fan of Soul Shakedown Party until now when I realized it means this show is going to rock! The first set reminded me of what a west coast dead head said to me after what I thought was a smoking Dead show at MSG many moons ago. "Ah, Your an east coast bumpkin"..... The mellow first half of the set was a fat american beauty that I have not witnessed the like back east. 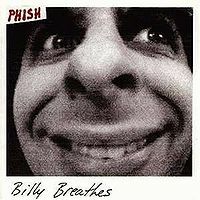 Phish however knew there was a noreaster back home and it showed from ASIHTOS on. I thought I heard a Mound tease in JJLC, but maybe it was just JJLC. To top off Set one, I always like when they bring a little darkness with songs like MFMF. As a big Who fan that has never caught a live Drowned, this set two opener got me off the couch dancing and smiling ear to ear in my cave.Not the greatest version, but I think it's a hard one to nail. 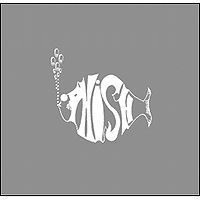 This set totally took into account the noreaster back home and in true Phish form, the worse the weather the harder they rock!. Loved loved loved it all even TYL which I thought was well placed and played. Wish I was there to hear the loudness of Steam, tightness of Mule and a ferocious Mikes Runaway Groove. Wish I had more time to write, but I'm sure some of you are glad I'm done. Bottom line, I will download and so happy I picked this show to catch the couch ride wave. Pink Floyd's Echoes might be my favorite song ever, so just wanted to weigh in on the Theme jam from that angle. Echoes has 4 basic sections: an epic/dreamy beginning, a dark funky groove, some ambient wailing, and an epic/dreamy ending. 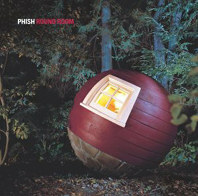 In Theme, just after starting the "from the bottom, from the top" vocal rounds, Phish begins playing a dark funky groove. It seems like this was planned; the whole band is right there, no one is still playing Theme, and the vocals are quickly abandoned. So is it the dark funky groove from Echoes? Well, sort of. Floyd's version is much sparser. Fish and Mike embellish a lot more and give the whole thing a more bouncy, upbeat, danceable vibe. 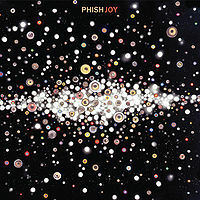 I'm listening and about to write the Echoes similarity off as superficial and coincidental... when Trey plays a few Gilmour guitar lines, note for note. 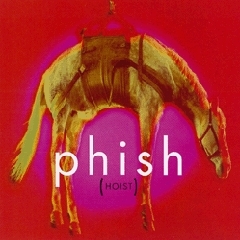 Ah, okay, they ARE playing the second section from Echoes, just in a very filtered-through-Phish kind of way. Apparently not recalling where the Echoes solo goes from there, Trey repeats the same phrases a few more times before the jam nicely segues into Steam. So that's the scoop; seek it out or not as you see fit. Personally, I enjoyed it, but more as a brief moment of "well that's nifty" rather than any sort of epic event. Well said Edison! And I'm not trying to piss anyone off but rather get people to be a little more honest. Reviews start to mean nothing when every song is the best version ever or every show was the best. And yes the opposite is true as well. Perhaps my choice of words has been harsh but if you look back over these reviews they are meaningless. I respect n00b100's opinion more than any on this site. I work at a boring job where thankfully I can listen to music all day. his reviews of mid to late 90s shows guide me in what to select for the day because they are honest. I just don't see that honesty in the reviews of the last few tours. Deset Patnact! Great show from the couch. No big jam (unless you count a pretty-decent 15min Drowned), and a sorely abbreviated Steam, but excellent energy, flow, and Type I jamming throughout. Theme was great - how awesome are these Type II themes? The beginning of the jam after the "from the bottom, from the top" section is like the drop in Mike's. Although the nascent jam was almost immediately ripcorded for BDTNL, Trey got a hold of himself and set off on a fiery, psychedelic jam. Hope they keep jamming this one out. Mike's had some machine-gun fire in a short jam, and Weekapaug was raging. Both SOAMs were raging and psychedelic, with weird chanting in Mule during the Marimba Lumina segment. I'll be unlikely to listen to any one song from this show, except for Theme, but this is the kind of show where I'll put on the second set and listen the whole way through. About as good as a show can be without having multiple 15+min jams. Also, I think that a Moma tease should be noted for Theme. Very obvious right before the segue into Steam. OK, chiming in late with my first .net review for what was my first show in 17+ years. Last time I saw Phish before this was the first Gorge run in '97. I was on a fairly regular show schedule up to that, hitting some great shows starting in '94 (including the 2 '95 MSG New Years shows) but I burnt out on Phish travel and then on the band, my life changed a lot and I moved on. Started hearing interesting things about 3.0 last summer and that old FOMO bubbled up this year, decided the night before this show to drive up to SB solo and take in a show. Was not disappointed. Given all that, this is obviously not your standard review. I can't tell you how this compared to most other '14 shows or 3.0 shows. I have since dug in a bit but I still have my work cut out for me. I thought the first set was a good mix of bust-outs and favorites. Dug Soul Shakedown and JJLC, the Melt was nicely dissonant and Walls Of The Cave was new to me and fun. Second set really impressed me. Drowned MSG NYE '95 was one of my fave Phish moments so I was really psyched to see it open here. Theme is one of my favorites and I had mentioned to some friends I had made at the show that I was hoping to see a really good version... this one knocked me out. A great segue into Waves and fun, funky playing from there on out. Mule was very lively. The encore was very fun, Antelope veering out of Silent surprised the heck outta me and the Soul Shakedown quote to end tied a great night together. 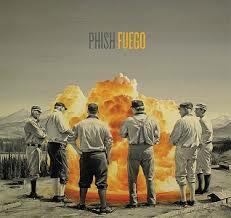 Average-great probably but having missed a huge chunk of Phishtory it was a blast for me. I thought it ranked above a number of the '94-'97 shows I saw and I preferred it to the Forum show that I ended up going to 2 nights later. I love reading all the reviews, many of you are really good are capturing the essence/vibe of the show. It's funny, though, to me, the moment I knew this was going to be a special show was when they played a song that nobody is mentioning in the reviews - Horn. I don't know why, but I literally got goose bumps when this song started. To me, it's such an old school song and rarely played. And this version really resonated with me and I felt like the crowd really got it too. When Trey plays the solo after the main lyric, it seemed like you could hear a pin drop. And nobody ruined it with a loud yell or anything. And the band got real quiet and Trey played his notes so delicately and the crowd seemed real dialed in at that moment. To me, this is when Phish is at it's best and I though the small venue allowed us to experience that moment. One of my favorite shows happened last night. I flew down hoping to get my mind blown and was a little nervous after Tuesday's show that it might not happen in So Cal. So happy to say I had nothing to worry about. MFF, SOAMelt, and Walls closed out a ridiculously high energy and tightly played 1st set with a psychedelic bang. Drowned was a treat and got pretty dirty leading into the highlight of the night for me, which was Theme. Mike's Jim Groove was ridiculously good and the encores were excellent. I compare this one with Reading, which was my favorite show that I attended in '13. Can't decide if one is better than the other, but both are excellent from top to bottom, and that's all that matters. This is one show that will definitely get replayed many, many times. Now on to BGCA and Vegas! I'm not gonna lie. I almost posted my first review, a negative one, for 10/21. I am not a hater, but that show was not good to me at all. Even the CDT -> Ghost that many enjoyed, I couldn't get into. Maybe it was the lack of energy form Trey all night, maybe it was the flubs, but for the first time every I found myself not enjoying a Phish show. Even the boys joked that things were amiss. Of course I would have to watch 10/22. I knew they would not let us down and let us down they did not. From note one it was clear they were on a mission to crush it. Tonight's show was STFU and play. No banter. Agressive Trey. Funky soulful rocking good time. This is why we love The Phish. The misqueues of 10/21 just give you an idea about how difficult what they normally do with ease is. It makes them human. It's why us fans have such a special connection with the band, because we've lived though good and bad with them. And it's easy to laugh off the bad when the good is as good as this show. Santa Barbara N2 was a great show. Size queens might not like it so much because the longest jam is just about 15 minutes, but if you appreciate solid jamming and great song selection this show is for you. The end of the 'drowned' jam got real dirty..I'm really really digging this newer style of type 2 jamming, it's really powerful. Theme>steam was really nice also, and people have already commented on it. The WG was extra groovy last night, definitely worth a listen! All in all, I don't really understand all the negativity from fans this tour. 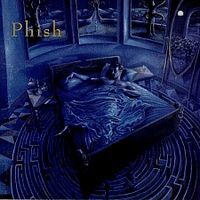 It seems to me like most of the hate is coming from people on couch tour (or if you look at the reviews from SB1 from fans who aren't even *listening* to the shows), but I'll tell ya man, Phish has really hit a stride this tour and I think we're in for something really special. Fasten your seat belts!! See you the rest of tour. Firstly let me let all readers know... This was a hometown show for me less than 2 miles from my bed. So for that, it get extra special mention alone... coupled with the fact of a latenight show by my friends in the Animal Liberation Orchestra(ALO)... I was treated to 7+ solid hours of music each night! WOW good time cardio workout! So without further adieu..my review. this show started very strong with the Soul shakedown party, shout out to the interwebs showing trey practicing to the photo of BoB Marley's 1979 show at the county bowl! Nice to see the band pay respect like that. Things got whirling quickly with the wedge, undermined, Horn, jesus... this show really started to feel like a vinatge 94 arrangement! At the point of the Ocean song, winterqueen the tone got a bit mellow and spacey and I felt the need for more libations! 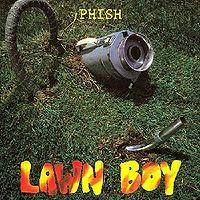 Coming back to the floor I got totally stoked by a solid MIFE following by a blistering Split Open..full boogie time in effect...SIZZLE swerving my way into the walls I must admit in the past this wasn't my favorite song; but THIS ONE was special... It featured a very watery vibe and was in my opinion the best I had ever seen it performed live! THE DROWNED! Oh my! just threw down so hard it was a bombastic version which fully began to solidify the SB2 oceanic theme.. rolling into to the Theme we got a treat, although I don't fully agree with Echo's heard by some. i do see the very close similarities. onward to the steam we continue the watery vibe transitioning into the waves. Twenty years was small lull in the hurricane followed by a very tight, FAST Mule (circa 97 versions). the 2001 was very well executed as well, nothing too far out, just generally better than decent. The Mike's>Jim>Weekapaug was just silly. it was VERY refreshing to see the band break out this funky placement as we all could hear IT JUST WORKED! And for those of us lucky to be there boy howdy did it deliver...again very tight and well executed...Horse was ver cool, silent was pretty as it always is...and then POW... A scorching Antelope! My friends were giving me crap because I had called a Sb Antelope..ALAS I was so stoked to hear this song in this position... it whipped the floor into a veritable frenzy... As we spun furiously through this succinct version, it had an incendiary effect on us! LIT US UP! All in all the Santa Barbara bowl is a truly magical place... even though you have to deal with NO PARKING, EARLY SHOWS, Mike being turned down because of strict noise ordinances..THE BOWL is still so amazing... tucked into a canyon with natural stone rock formations creating the seating sections and the edge of the bowl and hold only 4500... ITS NOT A VENUE TO BE MISSED! phish30sux...you clearly get off on trying to piss people off on the internet. With an internet handle like yours, it's hard to take any critique or opinion of yours seriously, since it's pretty obvious how you view the band. We're not interested in your negative predictions either...here's a space to actually talk about the shows. Do you remember your first few years of shows? Didn't you often leave a show thinking "man! that was the best show ever!" Most of the time you were wrong, and most of the time people who say it now are wrong, but it's the same feeling. Who cares if you consider them "3.0 fluffers" or not, it just means they really enjoy the band...and isn't that a good thing?? The scene needs their positive energy, not your negative energy. This was a very enjoyable first set imo and I rarely say that. Song selection was top notch. For me the must hear material came in the form of Drowned-->Theme without a doubt. Ive been waiting for drowned to open the 2nd set for a while now and man this version was well worth the wait. And if that wasn't enough they follow it up with a type II theme. Prob one of my fav versions in a long time. Fall tour is picking up some serious momentum and this show is definitely evidence of that. Can't wait for what's to come. Other 'noteworthy' jams. Theme, MFMF, and Mike's Jim Groove. Everything else was pretty damn good too. And the song selection...damn. This is a great show that I will likely revisit often. The whole band was on board for this one and everybody had there special segments, like Fish on the marimba or Page doing Horse. It's great when everyone has their turn with a spotlight solely on them. The overall looseness and flow of the songs combined with the tightness in the execution made for a lot of very special moments. Almost every song has one, and more than a few have several. No one has mentioned the wild psychedelic jam in Silent in the Morning. From the outset this was a palpably better show than the previous night. First set had some good jamming, though Split Open and Melt didn't quite go over the top. High energy close, though. First 40 minutes of the second set had a sustained groove, and that wild encore section made the drive down from SF a worthwhile trip. First off, I am NOT that arrogant.... I was a HS teacher and the kids named me Mr. Phish because they thought my tour stories were unique. One day they started calling me Mr. Phish and it just stuck (I hate wasting space, but I had to throw that in here). I just listened to set I.. yeah I have been couch surfing.... life happens and we can't see 20 shows a year anymore, but I am going to LA and Chula! Cant Wait! I think this might be the best show of the run so far. I really liked the Eugene OR show, but they seemed more on tonight so far.... especially Page! That Jesus left Chicago was pretty sweet; Page was going a little falsetto at times... really liked that. The SOAMELT had a really nice jam at the end of it... the second set looks hot on paper... I saw that Mikes>Runaway>Weekapaug? I cant say I have seen that combo before!